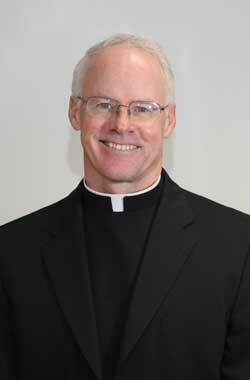 The Bridges, a column about the fictional Bridges family, is written by Father John J. Ames, deputy secretary for the Office for Catechetical Formation for the Archdiocese of Philadelphia. Tom: Joe, are you going skiing over the Martin Luther King holiday? Joe: I am thinking about it. Tom: I often wonder how we got a national holiday after a guy who started the Protestant Reformation? Pop: Tom … you’re kidding, right? Martin Luther King Jr. Day is a federal holiday marking his birthday. It is observed on the third Monday of January, near King’s birthday (January 15). President Ronald Reagan signed the holiday into law in 1983. Martin Luther King was born Michael Luther King in 1929. As a teen, he chose to change his name to Martin Luther. Martin Luther was an Augustinian monk. The two Martins were born nearly 450 years apart on opposite sides of the world. One lived in medieval Germany, the other in Georgia, during the depression. Both were men of faith, reformers who changed the worlds in which they lived. Each earned doctorates in theology. Luther was a lecturer at the University of Wittenberg, King was pastor of a Baptist church (a branch of Christianity that emerged from the Reformation that Luther started.) Both were orators and authors. Each challenged what they considered to be injustices. However, they differed significantly in their appreciation of a great Catholic saint. St. Thomas Aquinas (1225-74, feast day: January 28) was a Dominican priest with a brilliant intellect. He was the most prominent proponent of scholasticism. Scholasticism used the writings of Aristotle and the Fathers of the Church to better understand God, scripture, and truths of faith. St. Thomas maintained that God had endowed human beings with the gift of reason so that we could come to a deeper knowledge of God and His will for us. Luther (1483-1546) had a loathing for philosophy in general and scholasticism in particular. He despised Thomas Aquinas and maintained that human reason, so damaged by sin, could not know or say anything about God. Only the bible, the inspired word of God, revealed the truth about God. Philosophy, on the other hand, confused the truth. Reason is useless. Luther was the first to translate the Bible into German, but not until he publicly burned the works of Aquinas. King refers to St. Thomas as a foundation for his protest. Were protesters offending God when they broke the law and sat at a lunch counter? “No,” said Dr. King. Since segregation statutes were unjust laws, he had a moral obligation to disobey them. Two Martin Luthers, two very differing opinions of St. Thomas. In 1964, at the age of 35, Martin Luther King Jr. was the youngest man to receive the Nobel Peace Prize. On the evening of April 4, 1968, he was assassinated. Had King lived to see the dire consequences of Roe v. Wade, the innocent children torn apart in the womb, he would have applied Aquinas’ logic to this most pressing societal ill.